First congress of Kurdistan Human Rights Association in 2005, the Second congress in 2007, the third congress in 2008, the Fourth congress in 2009, the Fifth congress in 2012, the sixth congress was held in 2013, the Seventh congress was held on 17 June 2015 and the Eighth congress was held on 9 September 2017. In the fourth congress in 2009, according to the congressional agenda, five were elected by the leadership council and one was elected as speaker. At the 6th Congress, with the change of agenda for the Fourth Congress, the way of the joint secretary, namely, the heads of state by a woman and a man, was put on the agenda. The 8th Congress of the Kurdistan Human Rights Association was formed on September 9, 2017, with the participation of all members from Kurdistan, Europe and the United States, and in conducting dialogue and exchange of views among members, Changes to the statute and the rules of this organization arose. Development of activities of the organization and efforts to expand it, speeding up things and publishing news and training on human rights, emphasizing the rights of women and children, the environment and its damage, kolbaran and …parts of conversations and changes was performed. At the meeting of the Kurdistan Human Rights Council, “Ronak Zana and Jahangir Abdullahi” were selected as joint director. The leadership council at this meeting determined members of the Kurdistan Committee, Europe, the information and publishing of “writers and translators,” financial, diplomacy, and other committees in the framework of human rights. Members of the Information Committee include: Adnan Rashidi, Hamid Ebrahimzadeh, Jahangir Abdollahi, Ghader Shiri, Ronak Zana. Members of the Diplomacy Committee include: Jahangir Abdollahi, Saied Sanandeji, Ronak Zana. Members of the authors’ group and activities of the Kurdistan Human Rights informing included:Hamid Ebrahimzadeh, Ghader Shiri, Ronak Zana, Rosa Reha, Adnan Rashidi, Hooshang Amini, Jahangir Abdollahi, Soran Rashidi,Akam Farhangzadeh, Sarde Bazbab . Also, some of Kurdistan Human Rights Association journalists and activists are active in this organization, whose names are not mentioned due to security issues. Place of activity: Kurdistan and all countries where Kurds live there. Organization logo: Behind the logo is white and below the logo is written the name «Kurdistan Human Rights Association» in Kurdish and English. The Kurdistan Human Rights Association is an independent organization dedicated to informing and disseminating news of human rights violations committed by powerful governments and, in this context, also addresses media and human rights organizations and, at the same time, strives to find easier way for social cohesion and advocacy and protection of democracy and human rights. The activities of the Kurdistan Human Rights Association not limited to a single part of Kurdistan, but throughout the Kurdistan and the countries where Kurds live there. The activities of the community in the field of human rights and freedoms are on the agenda and at the same time, it condemns human rights violations in all areas and by the respective governments. The Kurdistan Human Rights Association considers the individual and collective rights of the people of the community, while at the same time laying the foundations for fundamental human rights agreements. 1_The Kurdistan Human Rights Association is a civil-social organization that defends human rights in Kurdistan, and all the places where the Kurds live. 2_ The Kurdistan Human Rights Association is independent in pursuing of its goals and has nothing to do with parties and governments. 3_ The Kurdistan human rights community addresses its works and programs to civil society organizations, human rights and the general public of Kurdistan and the world. 4_ The Kurdistan Human Rights Association highlights the violations of the individual and social rights of citizens in the Kurdistan community and reflects it through the global media, including “Newspaper, TV, Radio, Internet and …”. 5_ to form meetings, collaborate and publish statements and hold public protest hearings. 6_ The Kurdistan Human Rights Association is working towards equality of men and women in the community and in this context is a pioneer to highlight inequalities. 7_ The Kurdistan Human Rights Association has plans and projects to unite people and groups of Kurdistan. 1_ the heads of the organization consist of two people, one woman and one man, who jointly take responsibility and perform their duties. 2_ Joint leaders from the Supreme Council will be elected in a post-Congress meeting. 3_ in emergency situations such as death, failure to perform duties and resignation after three times written warning from the leadership council at the emergency meeting are expelled and others are elected. 4_ Leaders can take a temporary decision for 48 hours after a sudden incident in lack of opportunity for a meeting, until a collective meeting is held. 5_ none of the two members of the joint leaders does not have the right to decide alone on the legal and practical tasks of the population. 6_ Duration of the responsibility of joint leaders is two years between the two congresses. The leaders are twice eligible to be elected, then they can be elected again after two years. 1_ The Leadership Council meets once a month with the participation of all the members of the Leadership Council and also conducts four times a year each year to review the decisions or actions that they have taken and will have a special meeting in each season. 2_ Dismissal Joint Chiefs and members of the Kurdistan Human Rights Association Committee are responsible for the committees and representatives with the majority of the voting council. 7_ Non-attendance of members of the Leadership Council has been questioned and convicted for three times, and eventually leads to the expulsion of the member, when they would have no compelling reason for not attending the meetings. 9_ The Leadership Council can set up a committee, whenever necessary and in order to advance its activities and programs. 10_ The Leadership Council consists of nine members, seven major members and two successor members. 11_ the members of the congressional council are elected by voting. 12_ two successor members cannot be candidates for leadership until they are the main members. 1_The Information Committee is responsible to inform and publish human rights violations in Kurdistan or violations of the rights of the Kurdish citizen. 2_The site of the Kurdistan Human Rights Association website should be available to three members of the leadership council. 1_The diplomacy committee is bound to have links to human rights organizations, centers and organizations, countries, parties, as well as global human rights organizations. 2_The diplomacy committee should be friendly with all organizations, parties and parties, and there should not be discrimination in this regard. 1_The members and the chairman of the financial committee are elected or dismissed by the leadership council. 2_The Kurdistan Human Rights Association, with the exception of membership fees, has no other financial resources, and all financial capital of the organization is available to the Finance Committee. 3_ the finance committee is responsible for preparing and purchasing requirements for the organization, after the consent of the leadership council. 4_The financial committee, apart from holding all financial records of the Kurdistan Human Rights Association, has to prepare a monthly and annual report and present it to the Council of Leadership. 5_ the financial committee can use the assistance of governments and organizations and …, without any expectations from them for the purpose of advancing the work. The assistance provided from these sources must be trusted, which means that these countries and organizations must be well-known centers that do not commit any anti-human action and they must be defender and supporter of human dignity and human right. 6_The financial committee may, in cooperation with the diplomatic committee, take part in the collection of donations, and cooperate in this regard, while being informed by the council of leadership. 7_The financial committee must be active in collecting membership fees. 8_The financial committee consists of a member of the supervisory council and at the same time the presence of the other two members of the council or active members. 1_The Leadership Council can take the necessary commands to establish the Kurdistan human rights community in cities and other countries. 2_ all of Representation from among the members of the Kurdistan Human Rights Population and upon request, wherever located, shall be appointed after the consent of the Leadership Council and assigned them responsibility. 3_ All representations need to have 3 members and can start working independently and within the framework of the Constitution of the Human Rights of Kurdistan after the approval of the leadership council, also they can accept new members. 4_Agents are required to attend the kmmk congress. 1_ Anyone who believes in the Universal Declaration of Human Rights can, after agreeing with the approval of the leadership council and after accepting it, become a member of the Kurdistan Human Rights Association. 2_ anyone can completing the application form, a biography and a questionnaire for the Kurdistan Human Rights Association and after 2 months of membership can be as an active member presents in doing works there. 3_A person who is active in the field of human rights is not included in paragraph 2 of this article. 4_Monthly membership fee of 5 Euros, which can be increased in terms of members’ financial standing. Definition of Members and Revocation of Membership. 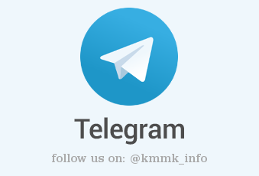 1_ In case of cancellation and non-participation, failure to comply with kmmk laws or actions that are in contrast with social value or damage the population, membership will be canceled by the leadership council. 2_At the time of the cancellation of the membership, at least two thirds of the members of the leadership council must be informed and confirm the cancellation of the membership. 3_ the new members of the organization should study the organization’s plans and after accepting it, after a month of activity, determine how they can help the organization based on their ability. 4_Active member: refers to members who, in addition to paying membership fees, are active in one of the committees and attend meetings attended by them. 5_ nonnative member: refers to members who are only kmmk members and sponsors of the organization and who are not members of any of the committees and must pay their membership fees based on their financial affordability. 6_Any active member with the knowledge of the Leadership Council can publish its own speeches in the name of kmmk, otherwise they will be held accountable. 7_The active member has the right to work in the organization’s affairs and activities that can do so without interrupting the organization. 8_Each member may also be a member of any organization or party, on the condition that it is not a member of the governing body of that organization or party, and in reverse, none of the members has the right to be members of the leadership council at kmmk and to re-enter into another organization. 9_Any member who hides his or her membership in another organization or party, organization will cancel the membership. 10_Paragraph 9 also applies to members of the Supreme (leaders) Council. 11_Active members do not have the right to comment on the statutes of the Kurdistan Human Rights Association. 12_The list of active and nonnative members should be clear and informed by the governing council, with the exception of secret members who operate within the Kurdistan. 1_The dissolution of the population takes place in accordance with the order of the congress or the court ruling. Hoping for the day when all individual and collective rights of humans are respected.